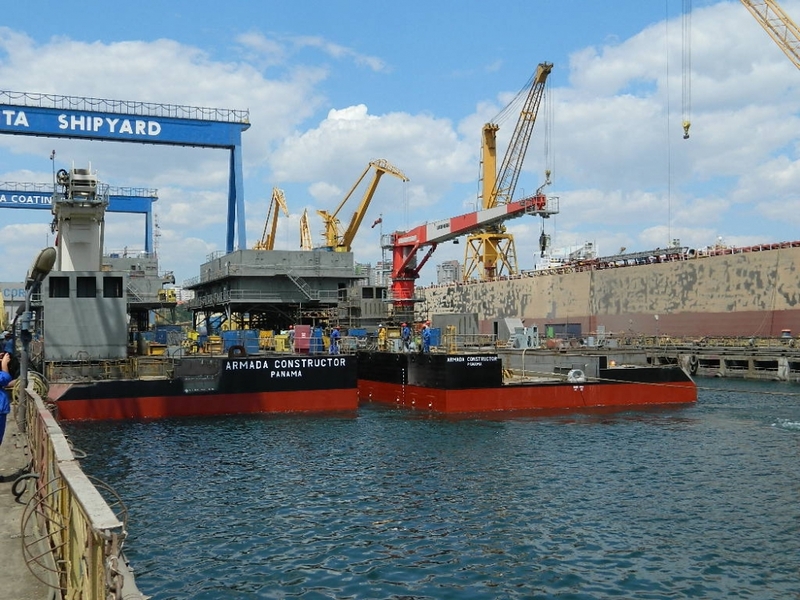 The barge is built in two hull sections halves that are independent for separate towing, but jointed together with mechanical joining. 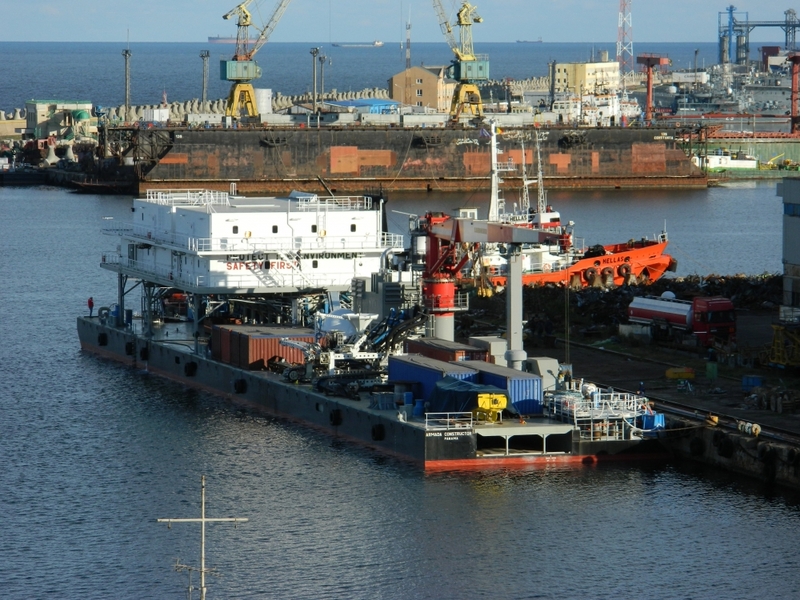 The Shallow Water Barge is intended for operation in the Caspian Sea for pipe laying and trenching operation, using the S-lay method. 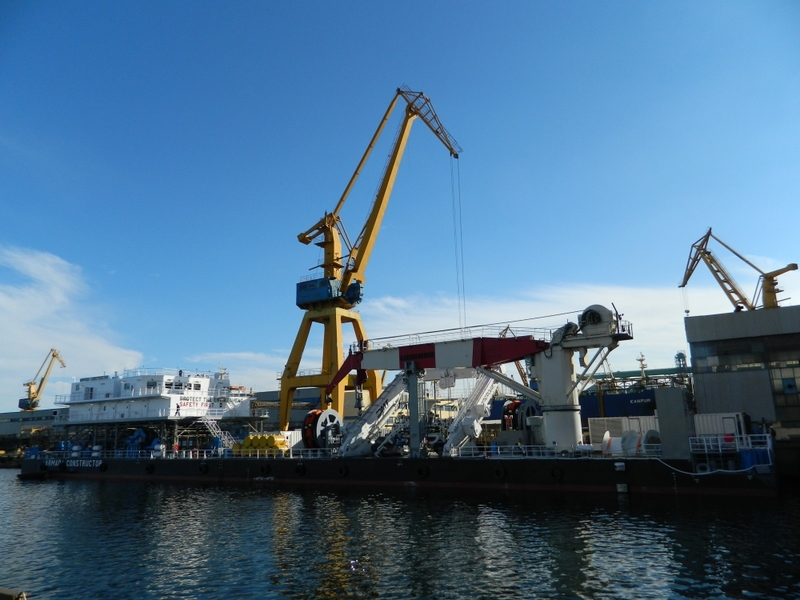 Equipment: 2 Liebherr pedestal cranes, SWL 30 t and SWL 50 t are available for operating on main deck, RL 1250-30 LIT, RL-T-2650-50 LIT telescopic type, in post trenching / backfilling configuration, A Frame.